K.J was born Karla J. Harden November 04, 1976 in Chicago, IL. CHA Trumbull Park Projects. Her passion was music because she grew up listening to her mother sing and she always listened to her mother’s records which consisted of Whitney Houston, Anita Baker, Regina Bell, etc. She was too shy so she never participated in talent shows nor did she sing in front of people unless it was family and her mother forced her to sing to them. Although she loved singing she never pursued a music career. Years and 3 children later K.J pondered thoughts of singing since she was now in the day where everyone was testing out their talents and it was easy to record music but motherhood limited her from actually thinking about getting into the booth. K.J ran across some trouble in 2004 that eventually landed her in jail for 2 years, taking her away from her children, family, and friends. While incarcerated she had plenty of time on her hands so she joined the I.D.O.C Choir singing for visitors and fellow detainees, she also had the opportunity to break out of her shyness and sing in front of the other inmates on her tier. 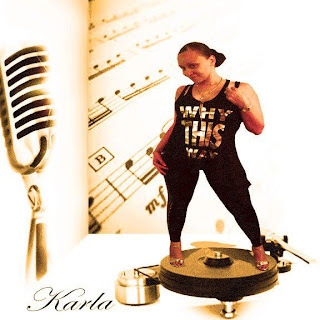 Upon her release from D.O.C in 2007 and with nothing to lose K.J picked up a pen and paper, started writing music to beats and connected with Chicago known producers and engineers so that she could lay her tracks. In the fall of 2007 she recorded her first singled called “Thinkin Bout You.” Getting great reviews from her friends and their friends as well as criticism on how she can get her song to sound better, she decided that this is what she wanted to do and was determined to get her name out there. She didn’t know how difficult this process was going to be because there were plenty of other R&B and Hip Hop artists that have been in the game longer that have made a name for themselves but she was going to try hard by doing open mics and showing support to other artists so that she could get that love back. Her dreams didn’t last long because K.J ended up homeless so she couldn’t keep up with writing and recording while looking for a place for her and her children so once again she gave up her music. 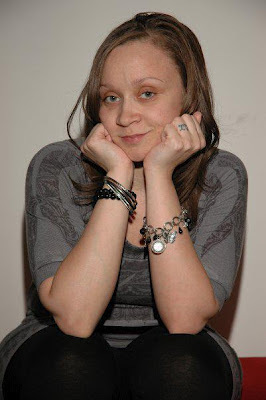 Picking up and moving her children out of her comfort zone and away from family she ended up in Pittsburgh, PA. During the first 3 years of getting her life back on track and going to college to obtain an Associate degree in Business and Management she managed to reconnect with her music friends and record 3 more songs. Even though music is her life she had more important things to do so she started forming a non-profit organization which would help inner city teen and young adult women stay on the right track by giving them guidance and something to look forward to after high school. She also decided that she would write a book about her life. She may have given up the thought of music but her new passion was giving back to the community by utilizing and incorporating her past experiences into her organization and her book. K.J feels that her past; which includes becoming a teen parent, domestic violence, incarceration, and homelessness can touch other women who have and are still going through what she had already encountered. They need to know that they can get through their struggles if they worked harder. If she can get through all of that with 3 children so can other women. If she can walk away from an unhealthy and violent relationship then they can. Never limit yourself because you can eventually become your own hurdle. In the process of getting her life back on track she graduated with high honors from Kaplan ICM Campus with her degree in Business and Management Administration. Continuing on with her education she remained in school so that she may receive her Associate degree in Accounting and is close to her last semester. She was able to accomplish this and much more because she NEVER gave up on herself. Once her book hits shelves she wants to be a motivational speaker because she knows that people listen when someone has been what they are going through, even though she’s not performing her music she will be speaking her music to listening ears instead. Be on the lookout for her book coming soon. 3375 What does Music mean to you? 3375 How old were you when you started singing? KARLA I was real young when I started singing. When my mother put on a record I would sing along. I wasn't serious about music it was just something I did around the house. I was too shy to sing in front of people so I never pursued it. 3375 How tough was it being a single mom trying to pursue a music career? KARLA It was real tough. As you can see I never made it into the industry. Everything was so time consuming and I've already spent two years away from my children so it was hard to leave them so that I can spend a whole day recording. I felt like I owed them my time because I was gone for so long. 3375 You mention you spent two years behind bar. How did you get through them two yrs without being with your family and friend? KARLA It was a tough situation to go through on my own, God brought me through it because without Him I would've lost myself completely in the system. He has a plan for me or He wouldn't have put me there to begin with. I didn't get a lot of mail or visits but I made it through by God's grace. 3375 Tell us about joining the I.D.O.C choir? KARLA It was such a beautiful feeling to come together with so much talent in jail in order for us to even form a choir. It's so unbelievable, the voices that were behind bars. We sang our hearts our, we brought people to their feet. We were so harmonic. I never knew how much I could extend my vocals until joining that choir. It was such an amazing experience. 3375 How did it feel to finally record your first single in 2007? KARLA I felt so accomplished, it was such a wonderful feeling when I walked into the booth for the first time, singing my pain into a mic over some instrumentals, I can't even explain the feeling I felt hearing the final product. I wasn't a professional singer but I did damn good for it being my first time. 3375 Finally everything was looking up. Than you became homeless with three kids. KARLA Yes, being homeless with three children was hard. Who could or would provide a roof for a struggling mother, nobody. I did what I didn't want to do, I had to separate from my children again. It was torture but it had to be done. 3375 After numerous attempts to get your music career started. You decided to go back to school. KARLA I decided that music wasn't for me at the moment. I sacrificed everything I had and got my children back, loaded up my belongings from storage and drove a moving truck with just me and my girls 500 miles away from my comfort zone in Chicago and started my life over in Pittsburgh. I never looked back and that was 3 1/2 years ago. I had obtained my G.E.D while I was incarcerated so why not further my education and go back to school. 3375 Someone said to me that I was a good writer but I'll be a greater writer when I suffer more. Is that true with you! KARLA Being a writer is influenced by your past struggles. Without those struggles there won't be any emotions behind that pen, no pain for the person listening or reading. So to answer your question, yes it is so true for me. I can only write when I've been through something or it wouldn't feel real. 3375 Tell us about your non-profit organization? KARLA Well, my non profit organization is something I came up with because of my past experiences. It's called Empowering our Young Women to Succeed, I'm all about empowerment. If I had guidance I wouldn't have been a teen parent, I would've graduated from high school, I wouldn't have went through half of what I went through in my life. These young women that I see these days lack in guidance and self respect. I want to give that to them. I can relate to just about every woman out here. I was in a violent relationship for 9 years with my children's father. I didn't think I had a way out, but I never tried to find out either. Everyone will have a struggle and obstacle that they have to go through I want to help them through. I need these women to follow their dreams and succeed in life. If I can save just one then I have accomplished something. 3375 You've been through many adversities and struggles, how did you manage to stay strong and conquer your dreams? KARLA I managed to stay strong because I have 3 young women who depend on me. They are my motivation and I'm determined to give them what I didn't get. It's tough being a single mother but I've been through so much in my life and I can't give up now. I aimed to complete college and get my associate degree in Business and Management and after 2 years on April 5, 2012 I received my degree and walking across that stage seeing my children's faces in the audience was priceless. My brother, his family, and my sister drove out here to capture that moment and right then I knew I did something important. 3375 Whats your advice to all the yonug women in the world? KARLA My advice to young women is to never stop climbing no matter how hard the obstacle may be, keep climbing. Don't let a man or anybody determine their path. It's your life and you are in control of your destiny, don't give someone else the power over your life. Finding something to focus on, a reason to keep climbing, just never give up. 3375 How can we contact you? And even Instagram @Signed_KJ where you can follow my journey through pictures because they tell a story too. KARLA I would like to shout out to God first and foremost because I wouldn't have made it this far had He not gotten my attention. Ok before I shout out Jacquez. 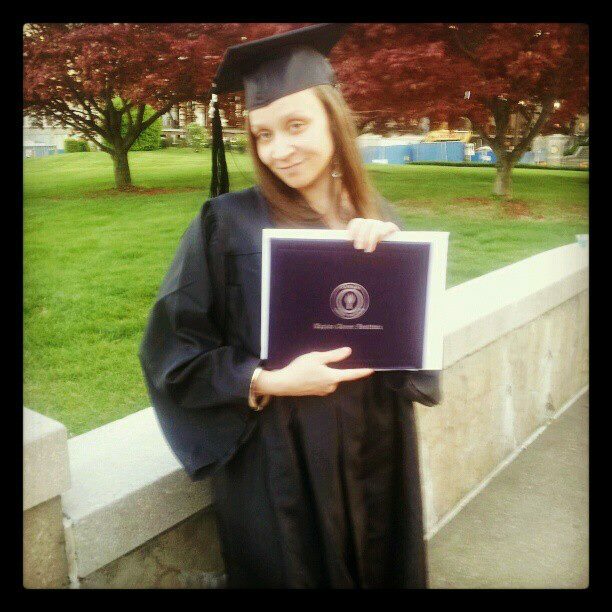 I want to say this...Ivena who has been my friend and sister for the 3 1/2 years I've been in Pittsburgh. We were going through the same thing and when we first me we clicked. She has been there for me in my darkest moments and I thank her..My best friend Jacquez Morgan and cousin whom I love dearly Candy who listened to me when I screamed and cried on the phone to them. Sherrill who listened to me complain about what I was going through when I should've been working. And last but not least my family who showed me tough love by making it hard for me which in return forced me to get on my feet quick. I have so many supporters who've watched me and encouraged me including my teachers who wouldn't let me drop out of school.